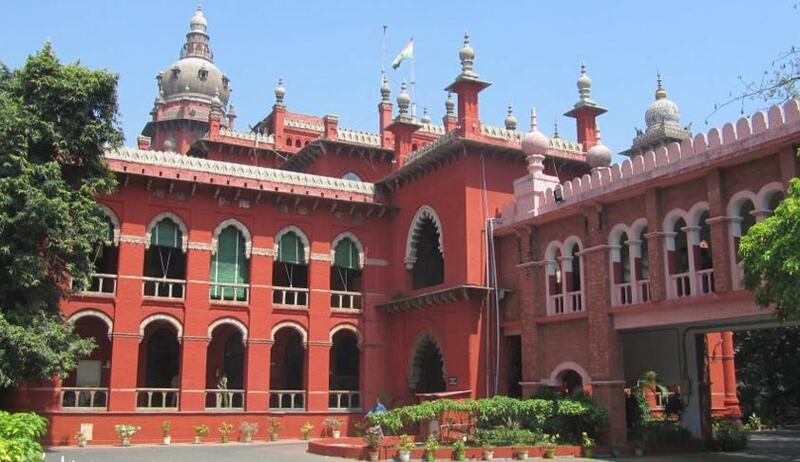 The Madras High Court Madurai bench while hearing a case relating to allowing family pension to the second wife held that officials should not insist on production of marriage certificate from Tahsildar or Registrar or District Court for sanctioning family pension when a widow produces 'heir' certificate. The Writ petition was filed by G. Pushpam, the widow of Late A. Ganesan and a Junior Engineer Grade-I of Electricity Department in Sivaganga District whom he married after the death of his first wife. A. Ganesan died while in service and thereafter Pushpam claimed family pension to her and her minor daughter. But, the department declined the same stating that she should produce marriage certificate. The Single Bench Justice Hariparanthaman after hearing her passed order observing that in the heir certificate issued by the Tahsildar the petitioner had been mentioned as the second wife of the employee. Besides, in the birth certificate issued by a Trichy hospital also it is mentioned that the petitioner is the mother of minor girl Akilandeswari whose father is Ganesan. And, the Legal Heir Certificate also showed that Karthikeyan was the son of first wife of Ganesan. Further, the son (Karthikeyan) had given an affidavit that he had no objection to give family pension to his stepmother, who is also his mother's sister. The village administrative officer also had given a certificate to show that Pushpam is the second wife of the employee, the court observed. “In view of the Birth Certificate, the respondent is not justified in refusing to pay the family pension to the petitioner by stating one reason or other. I am of the view that the respondent is not justified in refusing to pay family pension to the petitioner and the minor daughter of the deceased Ganesan, as per the pension rules applicable to TANGEDCO,” said the Court. Accordingly, the Court directed the Superintendent Engineer of the Electricity Department in Sivaganga to sanction pension to the petitioner within eight weeks from the receipt of court order.